T MU Board of Trustees Chairman Wen-Chang Chang has a knack for meeting and mentoring health research leaders. 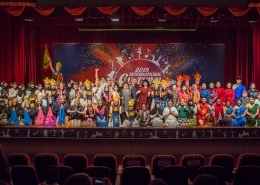 He recalled old friends and former students as paged through Spotlight issues, recounting how the stories related to projects he has promoted over the years. 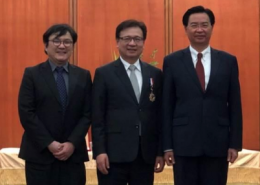 He noted that in his capacity as Deputy Minister of the National Science Council (now the Ministry of Science and Technology), TMU invited former U.S. National Institute on Drug Abuse chief Barry Hoffer to visit Taiwan and call on him in 2008. This led to neurotrauma research collaboration with TMU, and the resulting partnership has bloomed for almost a decade. A year later, Prof. Chang joined the same team as a professor in the Center for Neurotrauma and Neuroregeneration Center, where he continues to nurture this project combining clinical studies and basic research. He manages major Ministry of Science and Technology grants and publishes a generous handful of papers each year. Yet as Chairman of the Board of Trustees since 2014, he is at the center of day-to-day university operations. 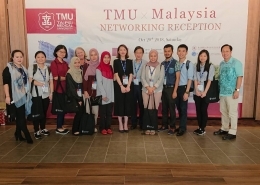 While presidents face an endless round of public appearances and speeches, Chairman Chang helps to focus resources for maximum impact in priority research areas, developing the university’s strongest programs to help TMU shine on the global stage. 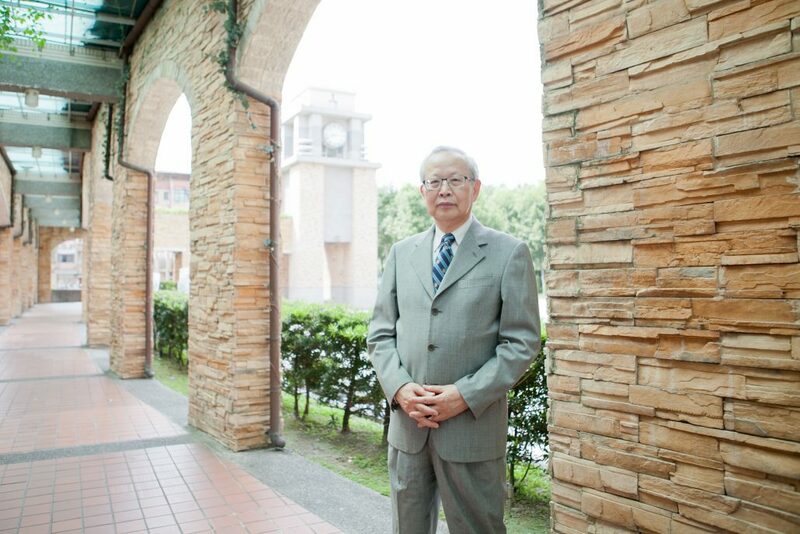 To say he has a long-term perspective on TMU’s development is an understatement, since he took his first degree in pharmacy here when the university was still Taipei Medical College. His graduate studies were at Japan’s flagship University of Tokyo. Having also taken a distinguished postdoc in a U.S. government health research institute and worked in Kentucky and London, he laughed that he’d advise students to choose the United Kingdom for speedier progress – perhaps earning their Ph.D. in three years instead of the five or six that this credential usually requires in America and Taiwan. After his studies he moved to the U.S. National Institutes of Health (NIH), which in 1960 started an institute on aging research in Baltimore. That facility has since been absorbed by Johns Hopkins University, but for decades it was America’s primary gerontological research center. Around 1962 this NIH program began a longitudinal heart study that helped start a global cardiac research boom as well as the first serious scientific research into human aging. Chairman Chang calls his 30 months in Baltimore the starting point of his enduring research interests. He returned to Japan to conduct research for Tokyo’s city government, which saw the demographic tsunami of a rapidly aging society approaching as families grew smaller. Taiwan’s Ministry of Education is soliciting proposals for research and education programs in a major push for progress, Chairman Chang said. The TMU team, led by President Lin, is putting forward proposals for neurological programs to compete in this critical area. The university’s current research prioritizes three vital societal needs: Taiwan’s high cancer death rates, its vast human toll from traumatic brain injury, and the looming demographic challenges of becoming a “super-aged” society. “First, we are focusing on translational cancer research, including research on ‘personalized medicine’ approaches to therapy and drug development,” he said. This research will especially try to address colon and breast cancers, which are among the top killers in Taiwan. “Second, we are focusing on brain and neurological research. 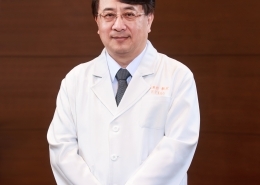 This brain research is very important for an aging society like Taiwan’s,” he said. 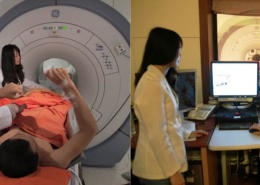 This year, TMU started a Neurological Research Center based at Shuangho Hospital that involves more than 70 doctors － both attending physicians and researchers － in this research, plus another 30 support staff in areas like bioimaging. TMU also plans to build two high-rise buildings that will vastly expand the Shuangho campus’s educational and research operations. “We hope that since the center started this year, it will also give our students a better-integrated research perspective,” Chairman Chang said. This effort builds on nine years of collaborations between surgeons and neurologists who attend a weekly meeting to discuss cases and findings. Together, these efforts address the traumatic brain injuries associated with scooter transportation as well as Alzheimer’s, Parkinson’s and other brain diseases. The university’s third priority research area is aging. A recent strategy meeting at Wanfang Medical Center discussed that hospital superintendent’s research collaborations with Nagoya and Matsumoto. 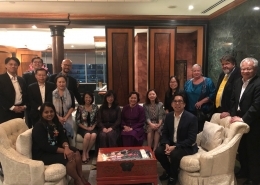 This followed a TMU fact-finding delegation’s visits to both cities that studied Japanese gerontological care approaches that might offer useful insights. 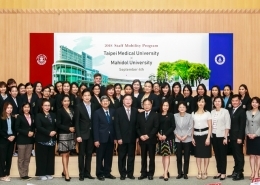 As the Ministry of Health and Welfare is developing long-term care and other services for Taiwan’s elders, TMU is supporting these efforts with both clinical and basic studies. In terms of predicting future directions for progress, Chairman Chang said biomedical research is progressing the fastest. For example, the time required for human genome analysis has fallen from five years to just 30 minutes using new technologies. “You can see that the progress is fast, but we need to focus on ‘What are the medical needs?’ ” he said. TMU is doing this with priority research programs in neurology, cancer and geriatrics that address the most pressing needs of today’s health care systems. The university’s educational and service missions are being transformed as well. 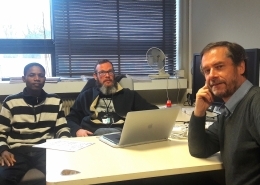 For example, TMU started requiring a computer software “coding course” this year to help students add more to their clinical and research fields. The university’s answer to this problem has been to increase programs that encourage outbound students to make use of opportunities abroad, and to promote these opportunities with funding support and expanded publicity. It’s harder to recruit young researchers because they consider this pressure, and they wonder whether they will have enough ability to succeed, Chairman Chang said. “For example, I’m involved in the selection of winners of the Tang Prize [awarded biennially in Biopharmaceutical Science and other fields]. Last year(2016) it went to a very young researcher in MIT, only 35 years old.” But his work on CRISPER/Cas9 contributions earned him this prestigious global award together with two other distinguished scientists.